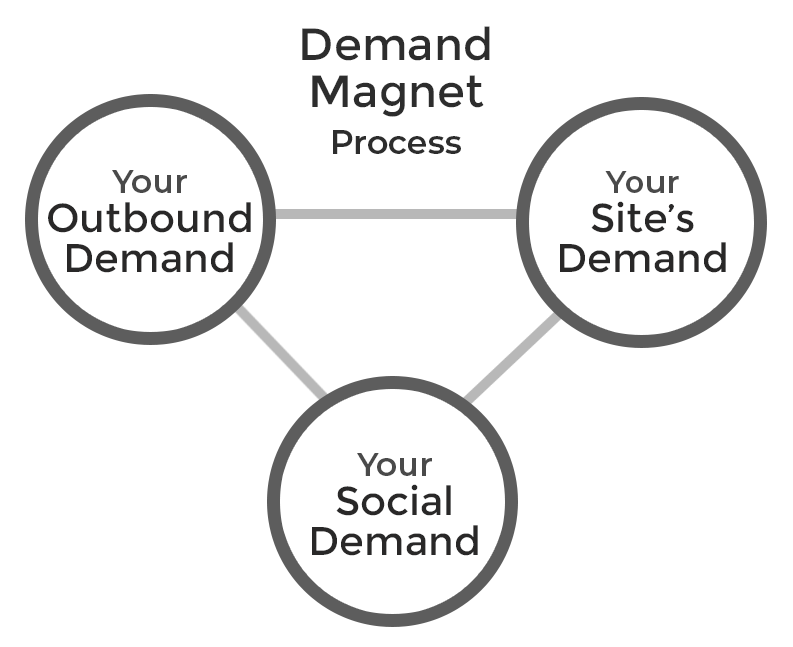 Demand Magnet Process. Today, every brand message has to be a demand message. And vice versa. Some might think of this as brand generation. We think of it as a proven way to maximize your MQLs. Our exclusive approach creates the perfect optimization of your site, your outbound and your social channels to create a powerful lean revenue engine. How do your targets feel about you? How do you stand out from anyone else? We craft ways to determine these perceptions. Are things broken? Has it all become way too complicated? Differentiate and simplify. Create user flows that naturally lead to demand-gen landing pages. It’s what interactive is truly about. Create outbound and inbound plans that map to the buyer’s journey of awareness, deep-dive, consideration, and purchase. Tell your story in an unexpected, visual way. Using as few onscreen and voice over words as possible. What determines a breakthrough idea? Usually, the volume of unused ideas that are generated in the creative process. Use the voice in which your audience speaks. Write 3 sentences per content chunk, max. Watch your following bloom.